South Korea’s SK signs €1.6b Iran refinery deal - IRAN This Way: Become familiar with Iranian lifestyle! South Korea’s SK Engineering and Construction Co (SKEC) signed a heads of agreement on Saturday for a 1.6 billion euro upgrade of the Tabriz refinery in northwest Iran, the Shana news agency said. 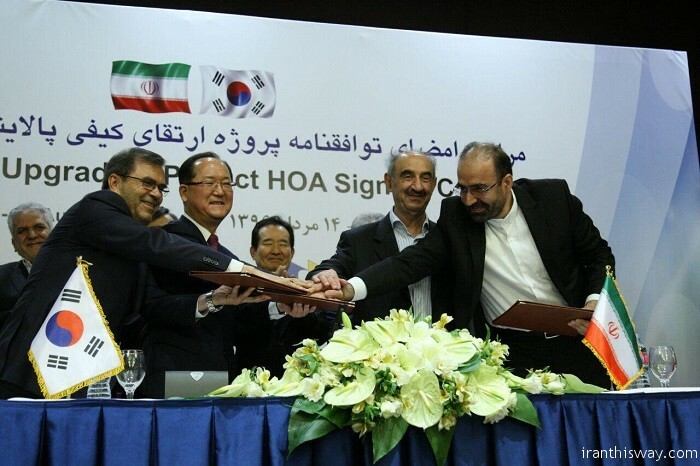 South Korean National Assembly Speaker Chung Sye-kyun, who is in Tehran to attend President Hassan Rouhani’s swearing-in, oversaw the signing between SKEC, Tabriz Oil Refining Company and National Iranian Oil Engineering and Construction Company (NIOEC). “The purpose of the signing of the agreement, which is about to be signed into a contract in the near future, is to convert the furnace oil produced at the Tabriz refinery to products of higher value according to Euro 5 standard,” the report said. Export-Import Bank of Korea will finance the project which includes upgrades to desulfurization equipment as well as gasoline, diesel and other facilities, it added. The project will be carried out over a period of 48 months, bringing down the furnace oil capacity at the refinery to 2.0% from 20% now. Furnace oil is also known as fuel oil. The Tabriz oil processing plant, built in 1976, is among the Iranian refineries in dire need of upgrade and modernization. In February, the country signed a $3 billion contract with China to upgrade the Abadan refinery in southwest Iran. According to Managing Director of National Iranian Oil Refining and Distribution Company Abbas Kazemi, Iran needs $14 billion of investment in total to fix and upgrade Tehran, Bandar Abbas, Isfahan, Tabriz and Abadan refineries. Iranian refineries, he said in February, were operating at a capacity of 500,000 barrels per day, which would rise to 600,000 bpd in the current Persian year. 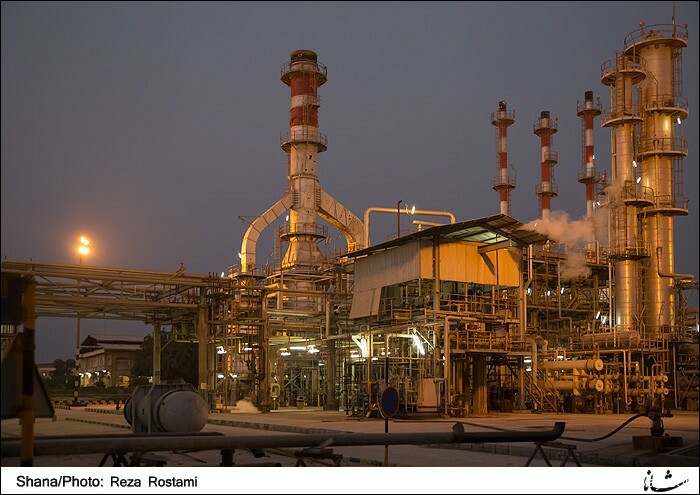 Iran expected to sign oil refining contracts worth $8.6 billion with a number of Japanese, Chinese and Korean companies, Kazemi said then, adding the biggest deal was reserved for Japan’s Marubeni, Chiyoda and Mitsui companies to upgrade Isfahan refinery at $3.6 billion. A separate $2 billion contract is about to be signed with South Korea’s Daelim company to boost oil processing capacity at Isfahan refinery, said Kazemi, who is also Iran’s deputy petroleum minister.